1. 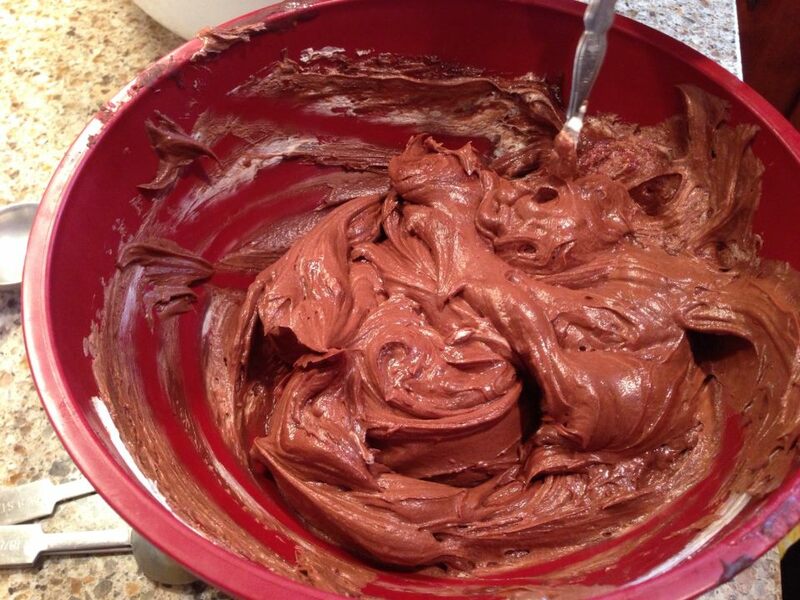 Melt the chocolate in a double boiler or in a microwave safe dish, stirring every 30 seconds until melted. 2. In a medium sauce pan, whisk together the egg yolks, 2 Tbsp sugar, and 3/4 cup heavy cream. Cook over medium/low heat, stirring until the mixture coats the back of a spoon, about 3-4 minutes. Remove the saucepan from the heat; whisk in the melted chocolate and vanilla. Strain the mixture into a bowl. Straining removes chunks of egg, etc. Chill the mixture until cool – about 30-45 minutes. 3. 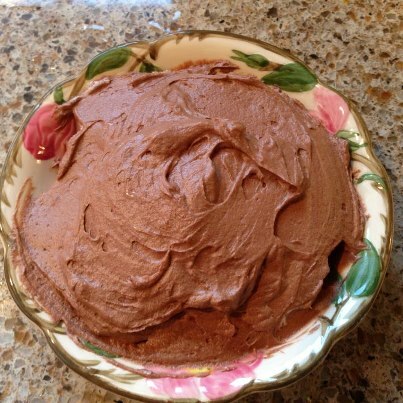 With an electric mixer, beat the remaining 1 1/4 cups heavy cream along with 2-4 Tbsp of sugar until stiff peaks form. Stir 1/3 of the whipped cream mixture into the cooked,cooled custard mixture. 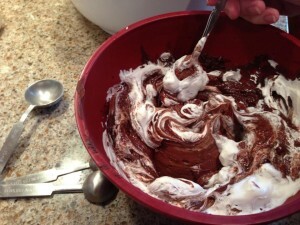 Then gently fold in the rest of the whipped cream with a rubber spatula. 4. 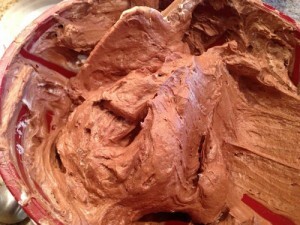 Spoon the mousse into serving dishes, chill, and cover for at least 30 more minutes. Serve at room temperature. Garnish with a dab of whipped cream, if desired. ENJOY!